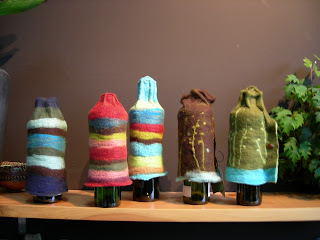 These are my new felted coffee cosy's for a Bodum coffee maker. They have glass buttons so it can be closed inside the handles of the Bodum. 100% Merino wool and a bit of thread to ensure the top shape stays.